With digital assistants quickly becoming ubiquitous in various aspects of life, understanding their capabilities and applications is paramount to individuals, businesses, and organisations. Speech recognition technology and the use of digital assistants have moved quickly from our cellphones to our homes, and its application in industries such as business, banking, marketing, and healthcare is quickly becoming apparent. Speech recognition technology in the workplace has evolved into incorporating simple tasks to increase efficiency, as well as beyond tasks that have traditionally needed humans, to be performed. This type of fast search could make users more impatient and increasingly dependent on choosing to use the internet as their main source of information.16 Due to this, the amount of time users spend looking at a screen might decrease. Marketers should consider what this might mean for predominantly visual content, as there may be a shift towards focussing on auditory and information-heavy content. 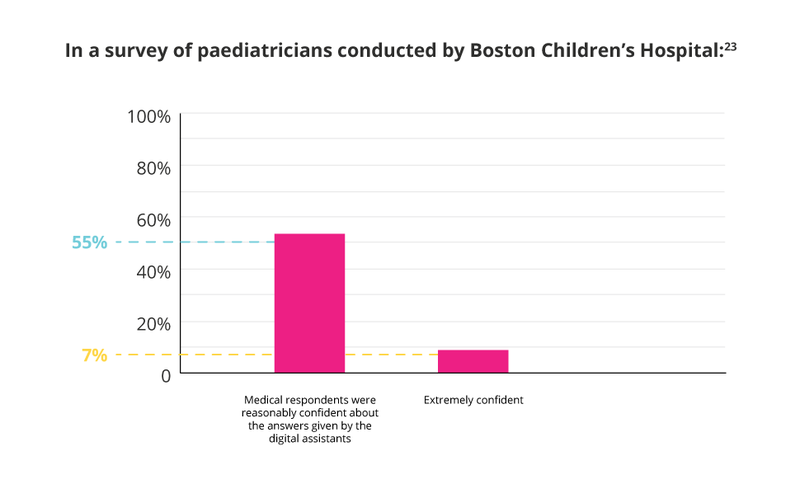 The most significant concern using speech recognition in healthcare is the content the digital assistant has access to.22 It has been recognised that the content will need to be supplied and validated by recognised medical institutions, in order for it to be a viable option in this field. Siri’s ability to connect to smart lights and smart thermostats24 makes it seem as though instructing your digital assistant to turn the kettle on is not far off. The Internet of Things (IoT) is not the futuristic possibility it once was, but rather a relevant development happening around us. Currently, one of the most prominent applications of speech recognition in the internet of things is in cars. It is predicted one in every five cars will be connected by 2020.26 The advantages of this could change the way we drive and interact with our vehicles, with the overall aim of limiting driver distractions. A world without language barriers opens up great possibilities for collaboration among various countries and cultures,29 perhaps contributing to a faster rate of innovation as a result of the increased diversity. This technology is still largely in its infancy, but with the theory of “hyper adoption”, by which consumers tend to adopt new technologies more quickly than they did in the past, it’s likely this technology is going to grow and improve rapidly.30 At this stage of the technology’s life cycle, having a clear idea of its potential and its likelihood to become a commonality in our daily lives in the near future is paramount. 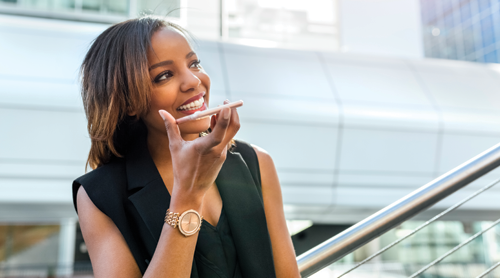 Businesses should be proactive in their approach to introducing or incorporating speech recognition technology into their digital marketing strategy and budget, while individuals should continue to explore the benefits of speech recognition in their daily activities. As accuracy rates improve and consumer buy-in increases, industries can expect to encounter a need to adapt to be more speech centric, and in turn more human, than may have seemed possible in previous years. 1 Bandakkavanar, R. (Apr, 2017). ‘Speech recognition’. Retrieved from KrazyTech. 2 Boyd, C. (Jan, 2018). ‘The past, present, and future of speech recognition technology’. Retrieved from The Startup. 3 Columbus, L. (Oct, 2017). ‘Gartner’s top 10 predictions for IT in 2018 and beyond’. Retrieved from Forbes. 4 Olsen, Christi. (Apr, 2016). 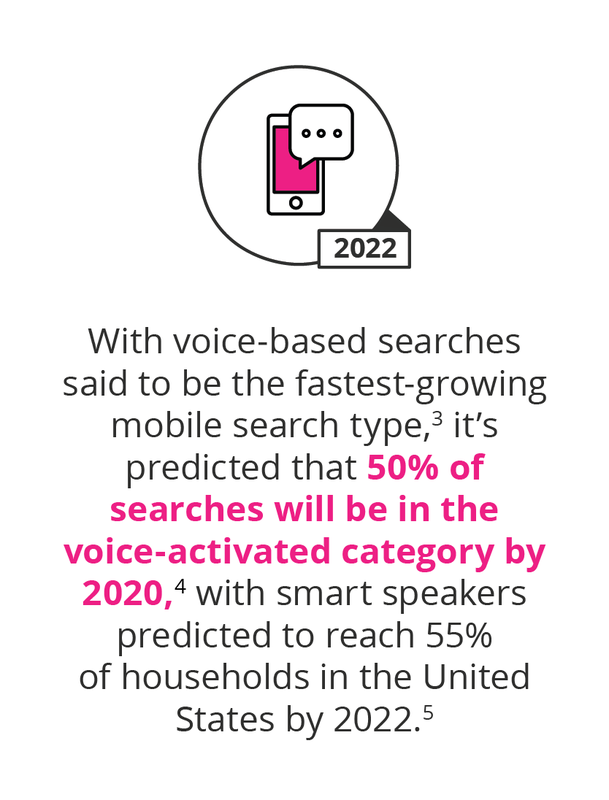 ‘Just say it: The future of search is voice and personal digital assistants’. Retrieved from Campaign. 5 Small, C., Nirgin, D., Churchwell, K., Brownstein, J. (Mar, 2018). ‘What will healthcare look like once smart speakers are everywhere?’ Retrieved from Harvard Business Review. 6 Imanuel. (Nd). ‘Top 22 intelligent personal assistants or automated personal assistants’. Retrieved from Predictive Analytics Today. 7 Van der Velde, N. (Oct, 2018). ‘Innovative uses of speech recognition today’. Retrieved from Globalme Language and Technology. 8 Simic. B. (Jun, 2018). ‘12 exciting ways you can use voice-activated technology in the workplace’. Retrieved from Forbes. 9 Van der Velde, N. (Oct, 2018). ‘Innovative uses of speech recognition today’. Retrieved from Globalme Language and Technology. 10 Van der Velde, N. (Oct, 2018). ‘Innovative uses of speech recognition today’. Retrieved from Globalme Language and Technology. 11 DeMers, J. (Nov, 2017). ‘How far can voice recognition go? 7 marketing implications’. Retrieved from Forbes. 12 Columbus, L. (Oct, 2017). ‘Gartner’s top 10 predictions for IT in 2018 and beyond’. Retrieved from Forbes. 13 DeMers, J. (Nov, 2017). ‘How far can voice recognition go? 7 marketing implications’. Retrieved from Forbes. 14 DeMers, J. (Nov, 2017). ‘How far can voice recognition go? 7 marketing implications’. Retrieved from Forbes. 15 DeMers, J. (Nov, 2017). ‘How far can voice recognition go? 7 marketing implications’. Retrieved from Forbes. 16 DeMers, J. (Nov, 2017). ‘How far can voice recognition go? 7 marketing implications’. Retrieved from Forbes. 17 Small, C., Nirgin, D., Churchwell, K., Brownstein, J. (Mar, 2018). ‘What will healthcare look like once smart speakers are everywhere?’ Retrieved from Harvard Business Review. 18 Small, C., Nirgin, D., Churchwell, K., Brownstein, J. (Mar, 2018). ‘What will healthcare look like once smart speakers are everywhere?’ Retrieved from Harvard Business Review. 19 Yelina, Y. (Aug, 2017). ‘Speech recognition in healthcare: a significant improvement or severe headache?’. 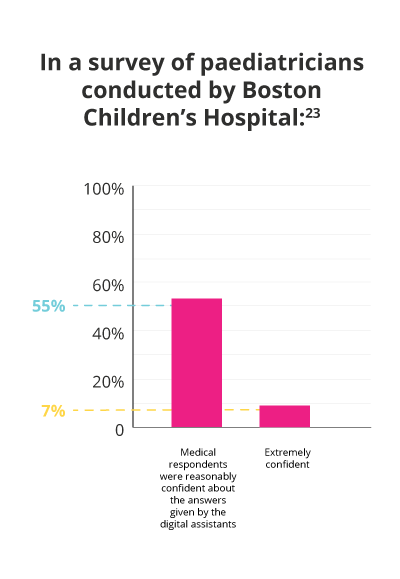 Retrieved from News Medical Life Sciences. 20 Yelina, Y. (Aug, 2017). ‘Speech recognition in healthcare: a significant improvement or severe headache?’. Retrieved from News Medical Life Sciences. 21 Yelina, Y. (Aug, 2017). ‘Speech recognition in healthcare: a significant improvement or severe headache?’. Retrieved from News Medical Life Sciences. 22 Small, C., Nirgin, D., Churchwell, K., Brownstein, J. (Mar, 2018). ‘What will healthcare look like once smart speakers are everywhere?’ Retrieved from Harvard Business Review. 23 Small, C., Nirgin, D., Churchwell, K., Brownstein, J. (Mar, 2018). ‘What will healthcare look like once smart speakers are everywhere?’ Retrieved from Harvard Business Review. 24 De Marco, N. (Sep, 2018). ‘The rise of voice control in the internet of things’. 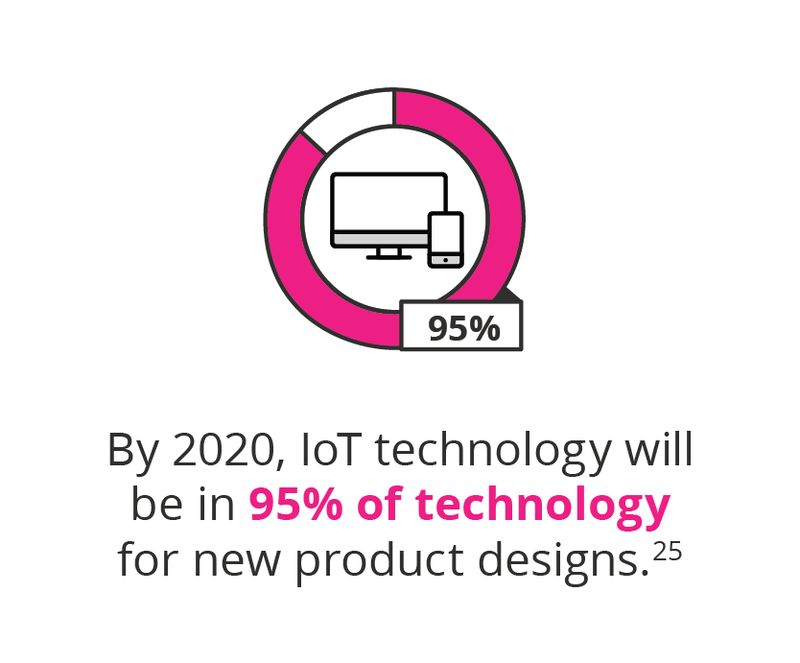 Retrieved from Internet of Things Agenda. 25 Columbus, L. (Oct, 2017). ‘Gartner’s top 10 predictions for IT in 2018 and beyond’. Retrieved from Forbes. 26 De Marco, N. (Sep, 2018). ‘The rise of voice control in the internet of things’. Retrieved from Internet of Things Agenda. 27 De Marco, N. (Sep, 2018). ‘The rise of voice control in the internet of things’. Retrieved from Internet of Things Agenda. 28 Van der Velde, N. (Oct, 2018). ‘Innovative uses of speech recognition today’. Retrieved from Globalme Language and Technology. 29 Van der Velde, N. (Oct, 2018). ‘Innovative uses of speech recognition today’. Retrieved from Globalme Language and Technology. 30 Robbio, A. (Jun, 2018). ‘The hyper-adoption of voice technology’. Retrieved from Forbes.